Let’s say you’re traveling to Italy to surprise your girlfriend, who is competing in an alpine ski race… and when you lower the scarf that’s covering your face, you reveal to the assembled paparazzi that one of your front teeth is missing. What will you do about this dental dilemma? Sound far-fetched? 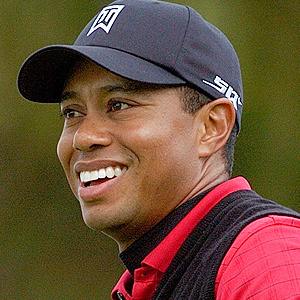 It recently happened to one of the most recognized figures in sports — Tiger Woods. There’s still some uncertainty about exactly how this tooth was taken out: Was it a collision with a cameraman, as Woods’ agent reported… or did Woods already have some problems with the tooth, as others have speculated? We still don’t know for sure, but the big question is: What happens next? Fortunately, contemporary dentistry offers several good solutions for the problem of missing teeth. Which one is best? It depends on each individual’s particular situation. Let’s say that the visible part of the tooth (the crown) has been damaged by a dental trauma (such as a collision or a blow to the face), but the tooth still has healthy roots. In this case, it’s often possible to keep the roots and replace the tooth above the gum line with a crown restoration (also called a cap). Crowns are generally made to order in a dental lab, and are placed on a prepared tooth in a procedure that requires two office visits: one to prepare the tooth for restoration and to make a model of the mouth and the second to place the custom-manufactured crown and complete the restoration. However, in some cases, crowns can be made on special machinery right in the dental office, and placed during the same visit. But what happens if the root isn’t viable — for example, if the tooth is deeply fractured, or completely knocked out and unable to be successfully re-implanted? In that case, a dental implant is probably the best option for tooth replacement. An implant consists of a screw-like post of titanium metal that is inserted into the jawbone during a minor surgical procedure. Titanium has a unique property: It can fuse with living bone tissue, allowing it to act as a secure anchor for the replacement tooth system. The crown of the implant is similar to the one mentioned above, except that it’s made to attach to the titanium implant instead of the natural tooth. Dental implants look, function and “feel” just like natural teeth — and with proper care, they can last a lifetime. Although they may be initially expensive, their quality and longevity makes them a good value over the long term. A less-costly alternative is traditional bridgework — but this method requires some dental work on the adjacent, healthy teeth; plus, it isn’t expected to last as long as an implant, and it may make the teeth more prone to problems down the road. What will the acclaimed golfer do? No doubt Tiger’s dentist will help him make the right tooth-replacement decision.